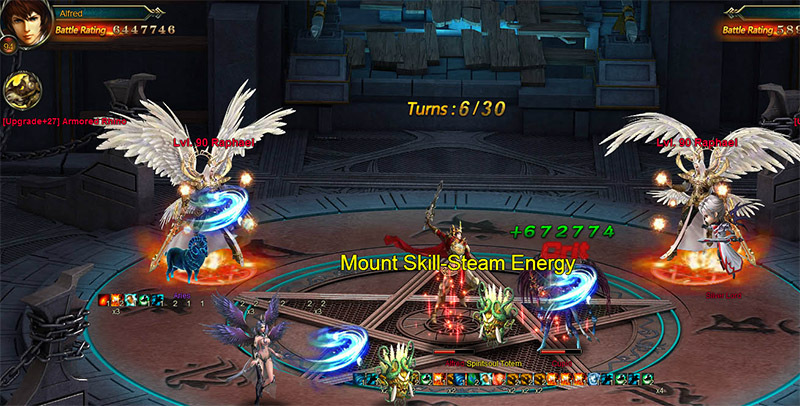 North America Forum»Forum ›League of Angels ›Strategy › opponents HP goes up after attack? Is there a skill or equipment buff I am missing? He might have weapon that attack to restore HP/Health.. or using pally skill that regen HP. I know. I have watched this happen many times, but only with this player. It is not lag, his health bar moves to the right after the attack. So it is not lag, he is gaining HP. Basicly he heals more then you do DMG to him. I saw this in some CS team turnament fights, when i fight 1st guy my HP drop, but 2nd guy was so weeak that every time he hit me i gain HP and not loose it. On end of this 2nd fight i end up again with full HP. Some time i gain so much HP that bar on top of screen shows that i have 140% of HP. Dont have any log, and i nave care care to do more detail view of this since i am on good side of this fight. 2019-4-21 18:58 GMT+8 , Processed in 0.064270 second(s), 52 queries .